This was such an amazing video by @GaryVaynerchuk that I had to REpost it so that young folks get an idea about the grind, the process, the way towards success. There are “Magic Bullets,” there are quick fixes, there are dramatic turnarounds, there are get-rich-quick scenarios, however, those are anomalies. They are not the rule. The rule always speaks to us by its number or mathematics! More people find success by going through the grind than those who luck upon riches either by marriage, by inheritance, by lottery, or by finding the right opportunity and being gifted situations that carve a no-brain-no-work path towards success. The Millennials, this younger generation, are able to witness people their age, like @MarkZuckerberg obtain success and attain massive success on high levels, and they desire to emulate and have that success. How many Facebook companies are there? Like ONE, and that is out of a few million or thousand competitors. Zuck causes confusion (Zuckerberg’s success). This is why this video by @GaryVee is so powerful. We have to distinguish or understand the difference between Who We Are and who we wish to be. We have to understand that the transformation does not take place overnight. Although when it does take place it will appear to have happened overnight. But those of us who live through it understand that there was a grind, grind, grind; and process, process, process that brought forth or manifested the transformation. Enjoy the video leave a comment that you let me know how it made you feel. What do you think, and how did it make you feel? Leave your comment below or on our social media page. This video will be extremely helpful in helping you save time and get better at being creative and becoming a creative thinker. You’ll be able to get ideas, inspiration to write books, and do many other things. This video gives six simple steps in becoming more creative. This is a great podcast by author Shawn Stevenson, the author of Sleep Smarter. He’s interviewed by Lewis Howes, both guys have great stories. At any rate, sleep is very vital to our overall health. Sleep directly corresponds with our energy levels during the day, so it makes a lot of sense to control this so we don’t have to use too many stimulants to helps us go through the day. In this video, Stevenson goes through 10 ways to sleep better starting tonight. It is wise counsel we can use right away… I know I will. Which one will you do today to get a better night of sleep? 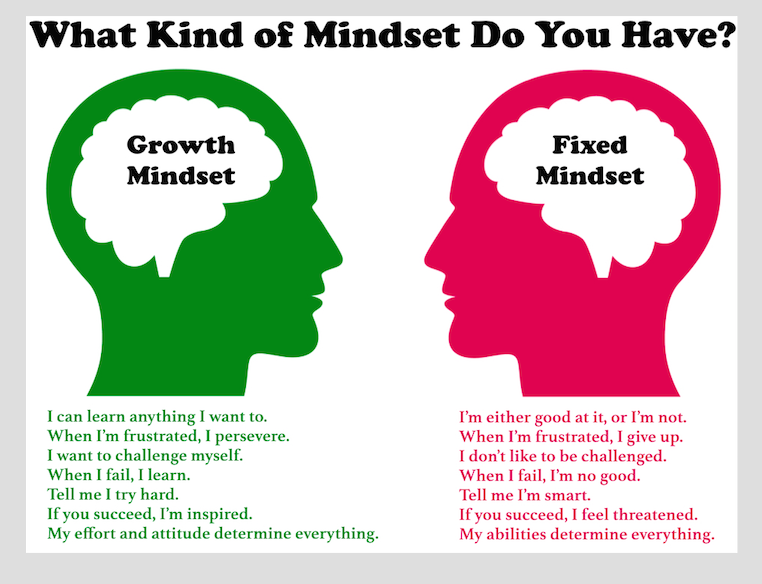 Carol Dweck, psychologist, talks about fixed and growth mindsets. She says that the key to happiness is in the desire to continue to learn and grow. Growth mindset is what keeps kids and adults happy, and keeps them striving for success. Carol Dweck shows the difference between two different praises (process and ability) and that process praise and ability praise have totally different results. I hope you enjoyed the video and you are ready to use the new psychology that causes happiness and success, and if you have children, you apply them in your interaction with them. Gary Vee tells it like it is, for you to take action today, please, just take some form of action towards your goals, towards what you love, towards righteousness, towards helping someone. STOP caring what people are going to say about your effort, your goals, your desires, just DO! The best way to take a look at our goals and success, we must take a DETAILED look at our results. This requires being truthful about where you are and where you want to go. People lie about where they are. It is the reason why the American Idol show starts out humorous before it gets serious. Many contestants have lied to themselves and have been lied to by others about where they are vocally. This misrepresentation of where we are is so vital to our goals and success. Goals and success relationship is imperative to our results, and our results tell a great story. Thank you Mr. Bob Proctor, enjoy the video.